When your tenants are satisfied, it makes your job as the homeowner a lot easier. At Real Property Management SAC-METRO, we strive to provide a great rental experience for both you and your tenants. One way to make your tenants happy with where they live is by offering an energy-efficient home. 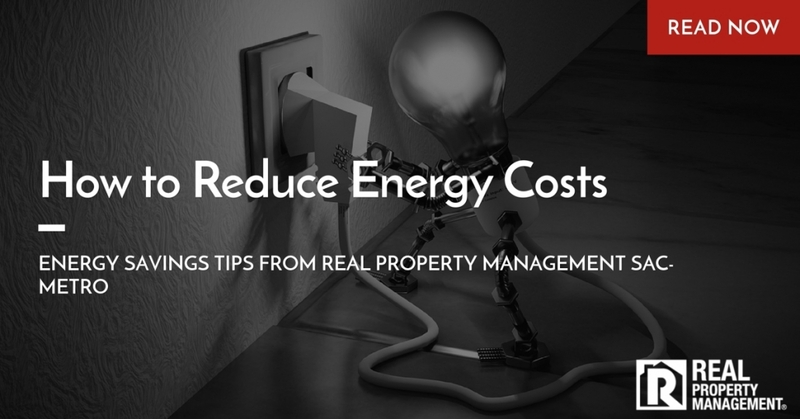 As a Sacramento property management company with more than 30 years of experience, we know several ways to create an energy-efficient rental property. A programmable thermostat is a must. When used properly, tenants do not need to worry about adjusting the thermostat before running out the door to work. Instead, the thermostat can be set to automatically utilize energy-saving temperatures when no one is home. Air leaks are another problem when trying to conserve energy in Sacramento. Property management companies like Real Property Management SAC-METRO can handle all necessary maintenance repairs to your rental unit including the need to replace caulking around windows. Sealing air leaks prevents energy loss. Furthermore, the water heater should be left at the lowest comfortable setting. Setting the water heater too high results in wasted energy. An up-to-date water heater will reduce overall energy costs as well. Lastly, certain light bulbs can save tenants money. CFL or LED bulbs are the best ones to preserve energy. The professionals at Real Property Management SAC-METRO know exactly how to take care of your investment property. Even though there are other Sacramento property management companies out there, no one knows the rental business better than we do. We work hard to get you the best return on your property all while attending to everyday tenant needs and maintenance calls. Give the experts at Real Property Management SAC-METRO a call today. See what we can do for you!